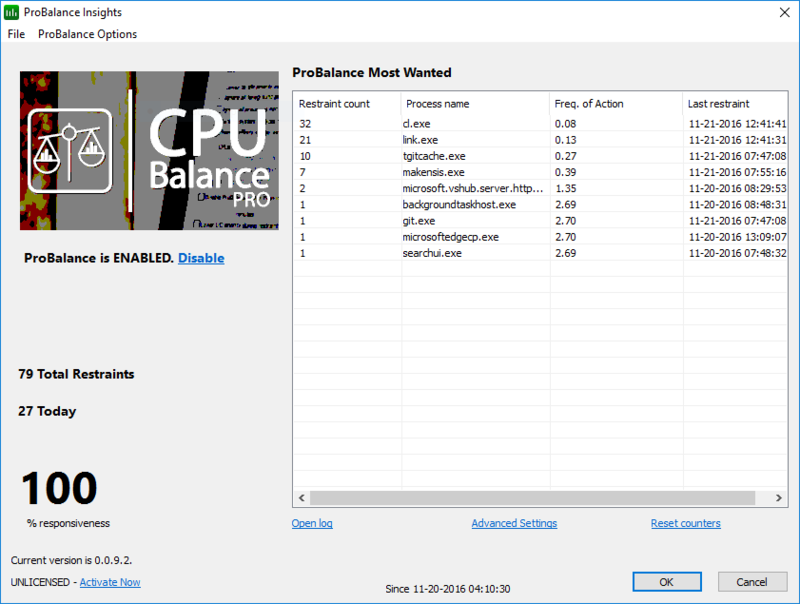 We are moving to BETA with CPUBalance. There are only small rough edges to polish now. We anticipate a v1.0 release sooner than you would expect since this project has been ‘staged’ for so long. A lot of progress happened here lately, obviously. More work is on-going, so by the time you read this maybe twice as much is done. The updater is still flaky – #1 on my priority list. Manual updates may be required (install over-top)! Thanks to everyone for using my software! p.s. The icons changed, so you may have to search the system tray a bit – it is dark colored (presently anyway).